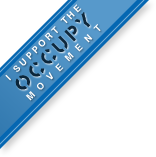 This entry was posted on November 13, 2012 at 12:57 pm	and is filed under mortgage crisis, Occupy movement. You can follow any responses to this entry through the RSS 2.0 feed. Both comments and pings are currently closed. WePay is the system of choice for those who don’t like PayPal. Haven’t heard anything bad about them. I’ve heard good things about WePay.